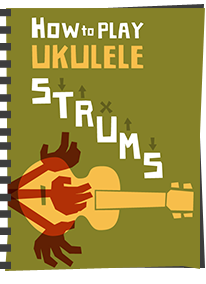 It's not often that a ukulele comes along that is drastically different than most of what is on the market. But that happened recently with this musical instrument. It's one I couldn't resist taking a closer look at the moment I saw it. 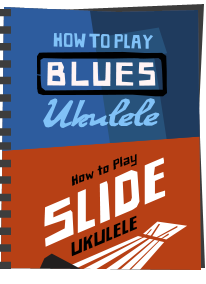 The Ashbury Lonely Player Travel Ukulele. And it's certainly an interesting looking thing with looks reminiscent of one or two other unusual shaped ukuleles. 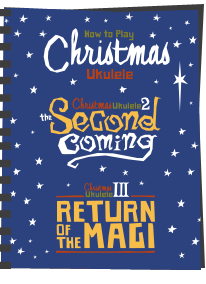 So this is not the first backwards strung ukulele I have seen (remember the Risa Sticks with it's tuners at the base) but still, you have to agree this is radically different from the vast majority of ukuleles out there. It's marketed by Ashbury, the house brand of the Hobgoblin music stores in the UK, but is actually made for them in Vietnam. 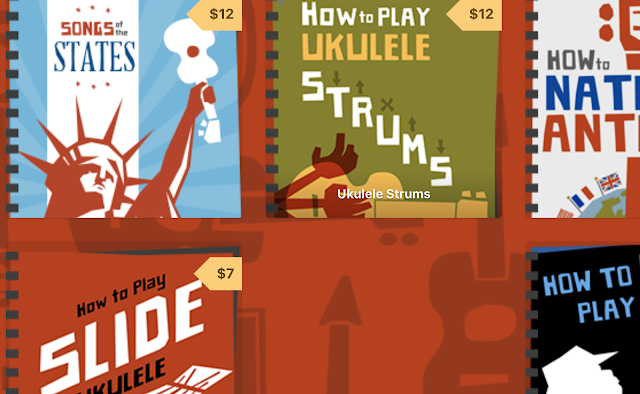 And, it's billed as a 'travel' ukulele on account of its small size. There's been quite a bit of talk over 'travel' size ukes lately, in particular the innovation that Enya brought to the market with detachable necks but this one truly is small enough to go in a small bag. 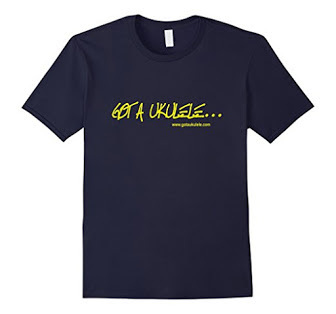 Now I don't normally 'get' the 'travel ukulele' tag that gets put on certain instruments. It usually refers to their bodies being thin, but I don't find that the thickness of a body is so much of an issue when travelling, at least, not as much as overall size does. And overall this one is pretty small, with an overall length of 45cm meaning that it will fit in the smallest spaces. Yet despite that small size, the scale length is about 13.5 inches, and identical to most sopranos... And they can do that because of the radically different design. I am not sure what makes it 'lonely' though and in fact I find that name quite melancholic and perhaps a bit creepy... just me? First up we have a body which can only be described as a 'wooden box'. Yes, I know most ukuleles are technically wooden boxes, but this takes boxy to the extreme. It's boxy, square and very simple. Saying that though it is rather nicely put together with smoothed off edges on all the corners and solid looking joints. That top and back are made from solid spruce, and the sides are sapele. Whilst they don't list the sides as 'solid' looking at the tiny side sound hole you can see the cross section. What it is though is very thick wood. Incidentally, their website says the back is made of sapele too, but this is definitely another piece of spruce. The spruce incidentally is far from grade A with rather wavy grain patterns as opposed to being dead straight. And that tiny side sound port is the only sound port you notice, with nothing on the top facing out. But that actually isn't the only one as when you look at the base there is another open end - so we have a base facing sound hole too. I told you this one was different. The whole of the body is finished in a rubbed satin which is nice on the hands, and the Ashbury logo is screen printed on the top. Well, as you will see, there was nowhere else to put it! Also at the base of the ukulele is the, erm... 'headstock', or rather the tailstock. This is an extended piece of sapele that holds the tuners and is nicely and cleverly attached. At the absolute tail end there is kind of a raised lip that looks like it is protecting something, but I am not sure what. The tuners appear to be the same Ashbury branded gears as I saw on their AU50 Concert Ukulele, and they are good quality with small buttons. No major complaints, and I am not totally convinced that friction pegs would work well with this peg head arrangement. Bridge wise, the Lonely Player uses a floating bridge that looks like it is made of plastic in a small wooden holder. It works like a banjo bridge in that it is moveable and you need to set it yourself to the correct position (such that the crown of the 12th fret is exactly half way between nut and saddle). Some people find that concept fiddly and confusing, but it really isn't so hard. The saddle also appears to have grooves cut into the top like a banjo ukulele to keep the strings spaced correctly. Without those they would kind of pinch together. Looking inside and things look neat and tidy here too. Clearly this is not a normal build, so the normal things I mention in reviews don't apply. What we do have though is an interesting bracing idea. Underneath the bridge area is a thin half moon strip of wood that is keeping the top and back apart where the bridge is applying downwards pressure under the strings. The strip is thin and drilled with holes to presumably keep weight down. Clever idea. Otherwise though, inside is very simple indeed. Like I say, it's a box! Up to the neck and whilst they don't specify what wood this is, I am guessing it's more sapele. It's bolted on with a fairly clunky looking joint, but a nice enough profile and a generous 38mm wide at the nut. There is no fingerboard as such, or rather, there is no 'applied' fingerboard. The frets on this, like on the Risa Sticks are set directly into the neck wood. We have 12 of them in total, with the final one being right on the body joint. Eagle eyed readers will spot 13, but that first one is actually a zero fret that acts as the nut point. That should make for good action and intonation accuracy. Sadly there are no position markers at all, either on the face of the fingerboard or the side of the neck. And up to the... hang on, no, there is no heastock. Like the Risa Stick, the strings terminate here into four holes drilled into the top. There is some flared shaping at the absolute end of the neck though where the wood fans out which is kind of attractive. Completing the deal are a set of strings that they don't specify. They actually look like they have a pinkish hue and I wondered whether they are D'Addario Titaniums, but think that would be extremely unlikely for the price of these instruments of only £45. I'm guessing unbranded nylons or possibly another type of fishing line. So on the whole, extremely cheap, but not something that has been thrown together without thought. The build all over it looks considered with several areas where they have recognised that they need to think a bit more to ensure this doesn't fail or fall apart. A simple box with a neck glued on this is not. I like the smoothed off edges, and I like the feel of the finish too. In fact I am quite taken with the look of quite a lot of it. In the hands it's also extremely light, as you'd hope for a travel instrument! It is however terribly unbalanced and much heavier in the body than the neck. Perhaps that was inevitable due to the way it is made. I also found it quite hard to play comfortably in a couple of obvious areas. Firstly to play this standing, I don't see how or where you would attach a strap as the obvious place to put one is taken up by the tuners. I am sure it can be done, but it looks a hassle to me. It's good that it's not heavy I suppose, but you are still going to need to cradle this yourself, and now I see what that lip on the tailstock is for. It kind of keeps your forearm off the tuners. Yet it's still not particularly comfortable and really digs into your arm when playing. Not very nice. The other area I struggled with is at the opposite end. When fretting first position chords, particularly certain chords like G7 and Fm, I find that flared head really gets in the way of my fretting hand. This is where the Risa Stick with no shaping makes more sense as there is literally nothing to bump into. With those you tend to adjust your fretting and kind of go around the headstock top on first position stuff. That's not possible on this one and became quite annoying. That flaring actually digs into the hand to the point of hurting. Setup though was extremely good. I have no issues with the nut action, and in fact the saddle action is also nice and low, measuring about 2.25mm at the 12th. Intonation.. well, of course you set this yourself, so if you are finding it out of tune as you move up the fretboard you need to adjust the position of your bridge. Once set though I can confirm that this one has an accurate neck and fret placement. No issues for me. OK, now for tuning up and... oh. Where do I put the tuner? On the Risa Stick there is just enough room to hold your clip on tuner at the top, but I found on this that a tuner struggled to stay on without firing off across the room under spring tension. My solution was to put the tuner clipped to the back down at the lower sound hole which makes for a very odd tuning experience. In fact like the Risa sticks, the whole tuning process is a bit backwards and annoying. Ho hum. Sound wise, well, unsurprisingly it does sound like a small wooden box. Very boxy as I say. But it is actually a bit louder than I expected. It takes a bit of experimenting to find the right sweet spot, with some strum areas overly bright, but you can find some nicer areas. Don't get me wrong, this doesn't have a huge bark and tons of projection and in most strums it can sound really quiet, all I mean is it is louder than I expected. I kind of expected nothing at all though, so anything is an improvement from that! Interestingly it seems the sound is mainly coming from the base and I don't detect that the side sound port is doing very much at all. But you know, I am still trying to find positives here as it's still made me smile a bit. But generally speaking it's a very thin tone, think rubber bands on a margarine tub, but just occasionally impressing a little more. I guess one thing it would be good for is quiet practice for not a lot of money. No.. It's not a high end sound, clearly, but I think that is missing the point of what this actually is. Though I suppose that's another area that confuses me. 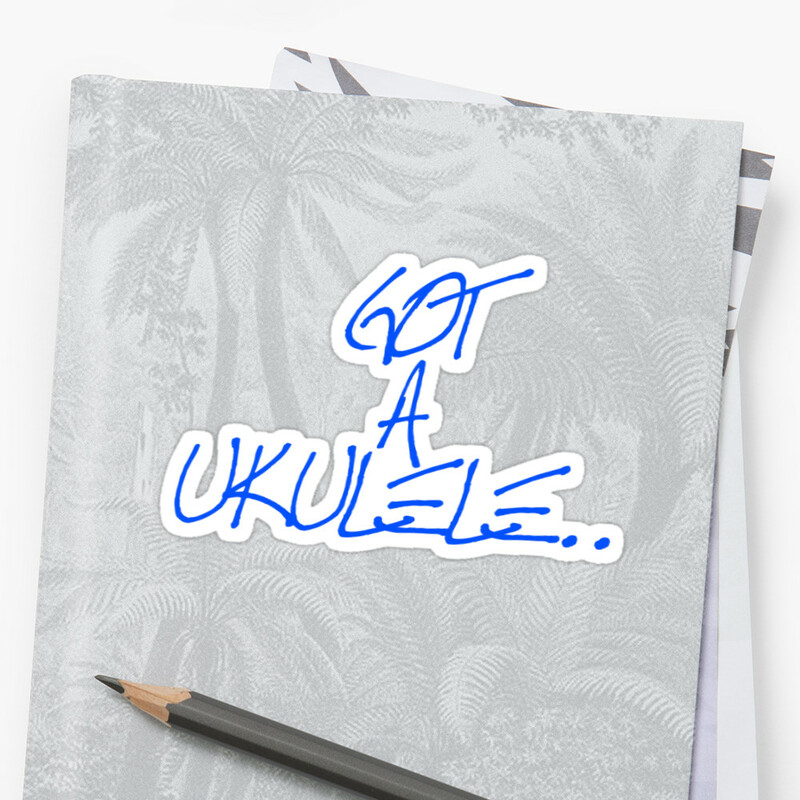 You see for a travel instrument, this is actually no smaller than something like an Ohana O'Nino, which actually does sound great and like a soprano. So why not just get that? The same could be said for a range of sopraninos. So what is it trying to be? There is still 'something' I like about this. I think it will suit those who like something different, those that do want to play quiet (and you really can play this quiet..), someone that likes a talking point. There's no issue with the build or the setup, the price is terrific, and you know what? If I could figure out how, I'd LOVE to put a pickup in this! I'm also wondering what fitting a set of Aquila strings to it would do! 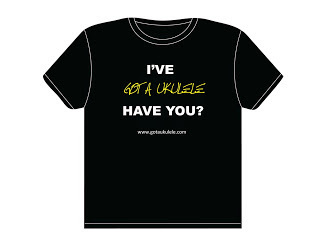 WHY NOT DONATE TO HELP KEEP GOT A UKULELE GOING? I'm guessing the name is a play on the series of guidebooks called 'Lonely Planet', which are about travel on a shoestring. You can see this is a great size for backpackers! Thanks - really useful review, as ever. Looks to me like the point of the build is to keep it from getting crushed in a travel bag, which most regular sopranos (with their typical thin wood) might. So overall size may be comparable, but this one is probably a bit heartier. Nothing creepy about that name. It's for the guy who's camping wild and Couchsurfing his way across continents. Very happy with the shape and sturdiness for packing in my overnight suitcase, and this is the first I've seen which I can seriously pack. The flare at the head has been an annoyance for fretting, and I have started to sand it down, I'll probably end up taking an 1/8 in or so off either side. I wish they had used tuners with shorter handles - I have bumped the G tuner more often than I would like. The sound - main virtue is that it is quiet - but it is not as tinny as a 20 dollar toy. Risa Stick may be 3x price, but it’s a superb instrument - plus it plugs in. No comparison to this at all.